The Best Sheds and Outdoor Storage for Outdoor Power Equipment | Gold Eagle Co. It takes a lot of high-quality outdoor power equipment to maintain your property year round. Whether you have a chainsaw, lawnmower, snowblower, leaf blower or other equipment, these are all investments worth protecting. And that means keeping them safely stored away when you’re not using them. Of course, you don’t exactly want to keep them inside your house, and if you’re like most people, your garage is probably already packed with holiday décor, bikes and cars—if you’re lucky enough to fit them in! So where can you keep your outdoor power equipment throughout the year? That’s where sheds come in. 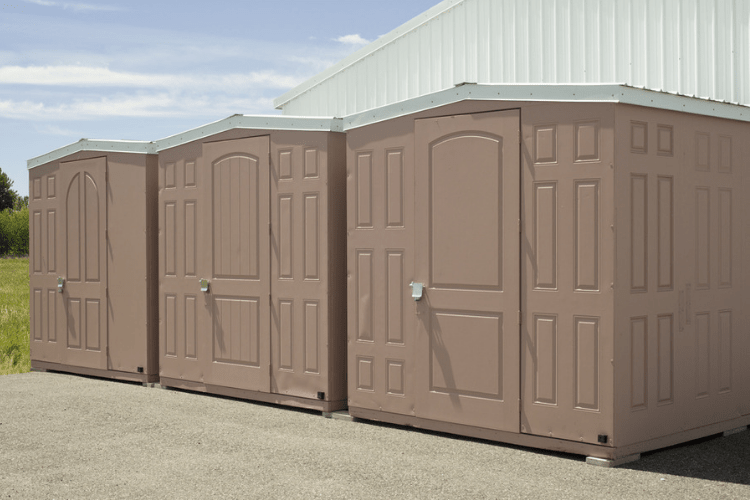 If you’re not sure which one is the best option for power equipment storage, check out some of the best storage sheds on the market. Not everyone has plenty of space to fit a large shed in the backyard, but nearly everyone has room for this shed. The Keter Factor Outdoor Garden Storage Shed comes in a few sizes, with one of the smallest being just 4 feet by 6 feet. This is tiny enough to fit in a small space, but large enough to store your power equipment. Plus, it’s weather resistant, so you can be sure your chainsaw, lawnmower, snowblower and more will be safe even in harsh weather conditions. And that’s the whole reason you’re looking for outdoor storage solutions instead of just tossing your power equipment on the side of the house, fully exposed to sun, rain, snow and wind, right? If you think your backyard can handle a shed with a bit more space inside, go for the Suncast Tremont. Like the Keter Factor, this shed comes in a few sizes, with one being 8 feet by 10 feet. Think about all the equipment you could fit in there! This shed even has skylights to allow natural light in—perfect for when you’re trying to find your leaf blower once fall begins. It also has built-in shelves and locking handles, ensuring you can keep your outdoor power equipment secure and easy to find all year round. Another great outdoor storage solution is the Avondale Wooden Storage Shed, which is easy to put together and nice to look at, if you like the traditional wood look. This 8-foot by 10-foot shed even has large, barn-style doors and decorative shutters on the window, making this not just a storage shed, but also a charming addition to your backyard. And the best part is the spacious interior, which provides 550 cubic square feet for your yard necessities. Add some shelves to the walls and you’ll be able to easily keep track of your outdoor power equipment any time of year. If your backyard has space to spare, you might as well fill it with a large, attractive storage shed. 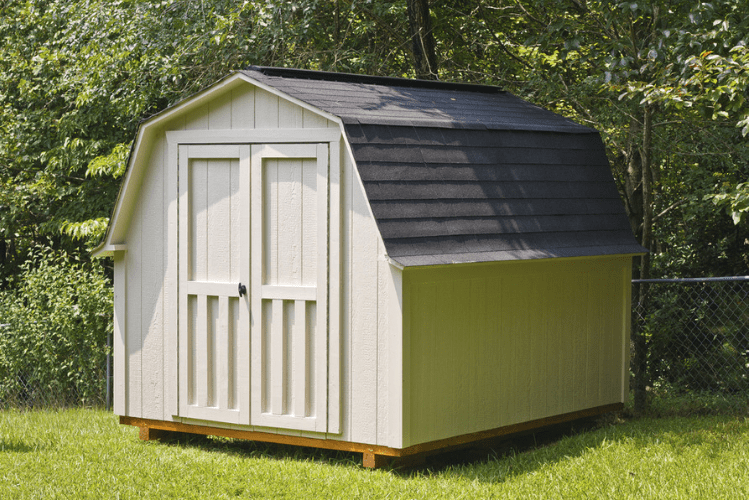 The Pinehurst Colonial Garden Shed comes in over a dozen sizes, with one of the largest being 12 feet by 24 feet. Basically, it looks more like a guesthouse than a backyard shed! Think of all the power equipment you can store in it, from your lawnmower to your leaf blower. And of course, it has its own window, shutters and double doors for easy access to anything you store inside it. No matter which shed you buy for your outdoor power equipment, keep in mind that you’ll have to put it together. So make sure you have some tools, time and help from a friend. Once you’re done assembling your new shed, you can get your power equipment out of your sight and into a safe, weather-resistant storage area for when you’re not using it. And if you’re considering a shed mainly to keep your equipment out of the cold weather, check out our winter storage guide: DIY: Prep Your Power Equipment for Winter.